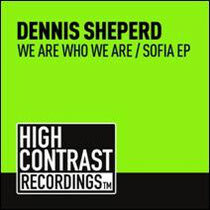 Following his collaboration ‘Freudenrausch’ with Rank 1 on High Contrast in March, German trance artist, Dennis Sheperd releases his first EP of 2014, featuring two singles ‘We Are Who We Are’ and ‘Sofia’ on High Contrast Recordings, the sub label of Be Yourself Music. The EP drops as a Beatport exclusive today with the full release following on 2 June. Dennis Sheperd’s productions are regularly played by DJs including Tiësto, Paul van Dyk and Ferry Corsten to name a few and his remix duties have been sought after by the likes of Armin van Buuren, Gareth Emery and Above & Beyond. He launches his new record label, ‘A Tribute To Life’ later this year, plus a second artist album is also in the pipeline for the Berlin-based DJ/producer. The first track on the EP, ‘We Are Who We Are’ sends the listener on a compelling journey of synth-heavy build ups delivering a decent experience once the bass drops and evolves into a melodic track. Starting off with an atmospheric instrumental, the second track ‘Sofia’ jumps straight in with a pounding and resonant drum bass, taken over by a punchy acid lead line to deliver a powerful production. Inspired by Dennis’ time in Bulgaria, ‘Sofia’ is a tribute to his Bulgarian fans who he considers some of the best in the world. With the track named after the capital itself, Dennis recently returned to the city, following an appearance at A State Of Trance 600 at Arena Armeec, alongside Armin van Buuren, Dash Berlin, and Ferry Corsten last year. Check the track out below.